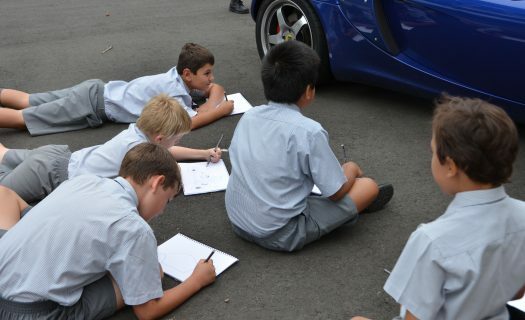 Our boys are encouraged from an early age to become involved in co-curricular activities to expand their interests and broaden their opportunities. There are various activities on offer after school hours throughout the year both at the Wyvern campus and at the Stanmore 7-12 campus. Individual coaching in Swimming and Tennis—available through the Senior School campus. Sport is not only a great way of getting our boys outside, but teaches what it means to be part of a team, how to cooperate with others, and learn leadership skills. Our Mission in Sport is to help boys appreciate sport as a life-long interest and encourage them to show good sportsmanship and 'Wyvern Spirit'. 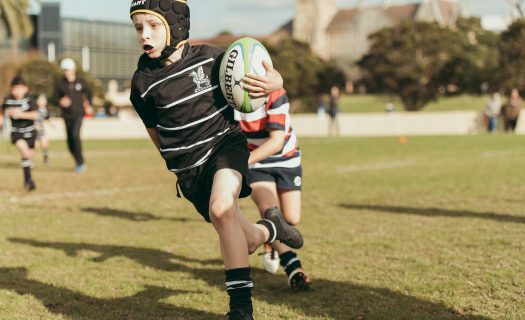 The Sport Cultural Framework that apples to all boys from Kindergarten to Year 12 outlines the character traits that we aim for Wyvern boys to develop through the powerful learning experience of sport. These skills transfer to other aspects of school life and have real-life applications once boys leave the College. Additional coaching is provided through Skill Development Programs in Basketball, Cricket, Football, Rugby and Tennis. Stanmore K–6 holds annual Winter and Summer Inter-House competitions in Basketball, Cricket, Tennis, Teeball / Softball, Football and Rugby. Additionally, Wyvern is also involved in a number of yearly fixtures and carnivals with the Lindfield campus. Music and creative arts provide an avenue for boys to explore their talents and passions outside the traditional classroom. Our aim is for all boys to discover a love of music and to find an instrument that they particularly enjoy playing. Wyvern offers a number of ensembles for budding young musicians to develop a feeling for playing as part of a group. Wyvern Strings, Winds and Percussion are the largest of these ensembles. The Dragonetti Ensemble gives our younger boys an introduction to Strings at Newington and is designed for boys in their first or second year of learning an instrument. For our young singers and choristers, the Wyvern and Stage Choirs provide boys an opportunity to develop their voices and perform. While co-curricular music involvement is not a requirement at Wyvern, many of our boys take advantage of our extensive tuition programs and ensembles. Private tuition is available for piano, violin, viola, cello, double bass, flute, clarinet, saxophone, horn, trumpet, trombone, tuba, euphonium, guitar and percussion. Each boy who is learning privately participates in an ensemble when he has reached the appropriate standard. The ensembles supplement and extend the work covered in private lessons, and also provide the opportunity for performance at various concerts arranged during the year. Boys in Year 2 learn to play a stringed instrument. In Year 3, boys can move on to wind and brass instruments.